Great for use indoors or out! Gather the whole family around this classically styled cedar farm table. Constructed from smooth sanded solid cedar, unfinished. 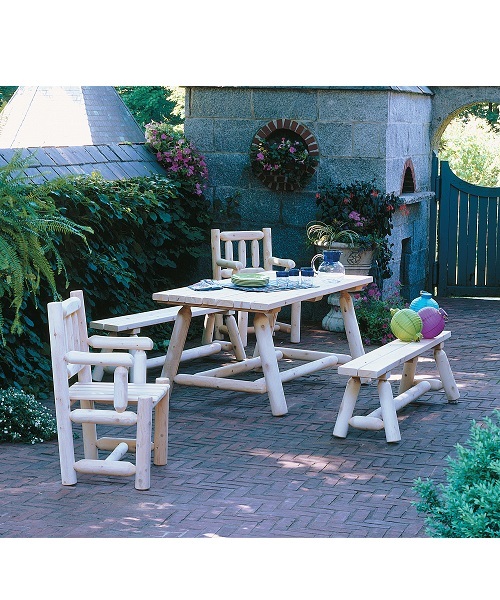 Natural cedar does not require a finish and can be used as is with little to no maintenance! The set can easily be finished to your liking, but left in its natural state it will weather to a silver-grey color if used outdoors.